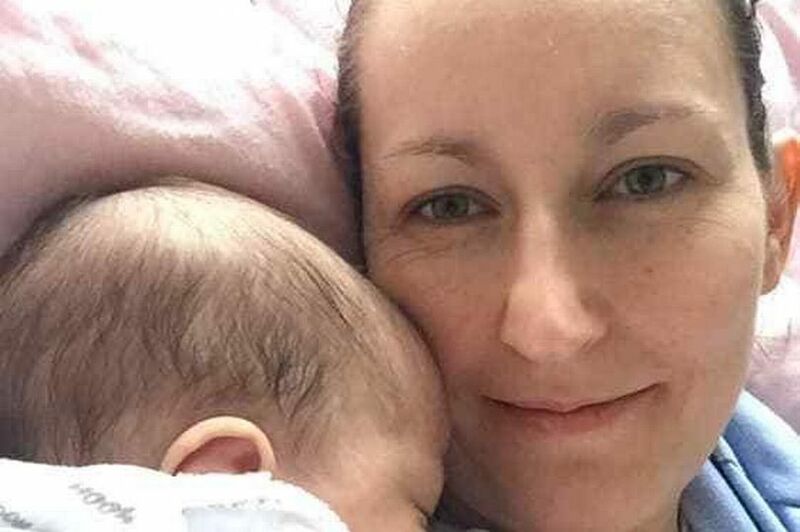 A former Met police officer who quit the force because of Tory cuts has been left homeless with her newborn baby. Kristina Matej, 37, who gave birth to a baby boy on January 5 is now begging London's landlords to take them in. She says the child's father abandoned her financially and meant she was reliant for the first time on state aid. But Kristina said so few landlords will now accept housing benefit that she has nowhere to live. Speaking to Mirror Online, Kristina said: "I'm pleading for help from someone who has a place to rent. "I don't know where to go, or who to turn to. I'm just hoping that we can find someone with compassion who will take us on. "I now have an offer on one flat and I'm really, really hoping we get it. "This is a time when I'm supposed to be recovering from child birth and bonding with my baby. "But instead I'm stressed and exhausted. Every time he sleeps I search for properties." And despite her best efforts, that search had seemed futile. Kristina said: "Out of more than 3,000 adverts I viewed in two weeks, only one would accept an offer in my price range. "But it was dangerous - up steep metal steps from a dark side alley - and the apartment itself was infested with bed bugs and mice." Kristina, whose baby was due on December 27, spent Christmas terrified that she would have to bring her newborn into a homeless hostel, like the "filthy" ones she visited as a cop. She said: “I was really scared to come out of hospital in case I had to go into a homeless hostel. “When I worked as a police officer I went into those hostels. There were heroin burns on the furniture. “They are no place to bring a newborn baby. Kristina has had to deal with heartache and adversity before. Her husband died of cancer four years ago, when he was aged 36, and she has struggled with depression in the past. She said: “I was suicidal and really struggled with my mental health after my husband’s death. "He deteriorated so quickly. He died seven months after the diagnosis. “But I found a therapist who really kept me alive and slowly I worked through it. "I worked with the Metropolitan Police for seven years but when the Tory's came to power everything changed. "There were so many cutbacks we didn't have the people or the resources to do the job the way I thought it should be done anymore. "It took a toll on my health and I couldn't imagine another 30 years working there with no appreciation and high stress so I quit. “I set up my own holistic massage business which was going really well, I wrote a book about coming through depression, I was dancing and horse riding and my life was full. “Then I met the baby's father in a club in February. "I don’t drink alcohol but I like to dance. I asked him to dance and we danced all night. “He asked for my number, we went on a date the next day and it moved very fast. He seemed really nice and very genuine. “The pregnancy was not planned but when I felt life growing inside me I just couldn’t let it go." But Kristina said that the relationship ended weeks later and her partner moved to another country. She said: “I know that being angry is pointless, it’s not going to achieve anything. "I always imagined having a perfect, stable relationship before bringing a child into the world. “I grew up with domestic violence. There were lots of pointless arguments. "I always wanted to do better for my own child and I never imagined that I would be a single mum but I'm determined to make it work." Kristina, who is originally from the Czech Republic, has no family in the UK to support her at this difficult time so she feels forced to rely on the state. She said: “We were poor growing up and barely had enough food for ourselves so they can’t afford to support me, although my gran sent me £150 to pay for my shopping for the month. “And I don’t think I can go back. “Britain’s been my home for 16 years. I love the people, I love the language, I feel more at home here than I ever did in Czech. “I paid National Insurance for years and I thought that if you ever fell on hard times, you would get help. “If I wasn’t pregnant I would need no help whatsoever. I’ve never claimed any benefits before. Kristina has been staying with friends since the home she privately rented was to be sold earlier this year. She said: “Finding accommodation before was always easy, I never expected these challenges. "Now I know how difficult it really is for single mums. As soon as a landlord hears you're pregnant and on benefits they don't want to take you. “At Christmas, I felt like Mary being told that there was no room at the inn. "I tried not to think about my situation too deeply because when I did, I cried. “I’m one of Britain’s many hidden homeless." Kristina now wants to change the law to provide more protection for pregnant women. She said: “Local government is responsible for children to be housed. "So I’ve started a petition to extend that right to the pregnant mother from the 24th week of pregnancy when the baby’s viable. “Not knowing where you’re going to live is a horrific stress for mothers, and stress is very bad for the baby." “There are 10,000 people on the waiting list for social housing in Haringey. To sign Kristina's petition, click here .